We are back from a wonderful trip to Disney World, Orlando, Florida. We had fun roaming around the theme parks, enjoying the rides and soaking up the wonders of this magical world! Disney’s magic world brings out the kid in us! Disney World doesn’t need any intro at all. All of us know very well about their famous theme parks and jaw dropping, breath taking roller-coaster rides. I did extensive research on “things to do with toddlers in the Disney world”. 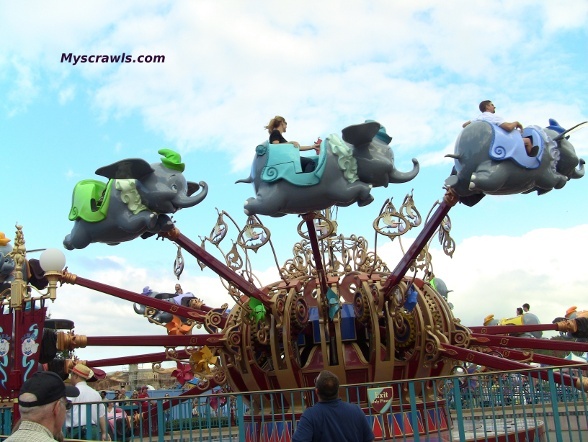 Will my 2 year old toddler enjoy the rides, will he be allowed in the rides, is Disney good only for older kids, would it be worth spending so much $$$ to travel all the way to Orlando with a toddler – These were the questions that I had before booking the tickets. Now I can vouch that the vacation was worth every dollar spent! When we asked Disney crew members to suggest us the theme parks that we could check out with our 2 year old son, almost everyone had the same answer – Magic Kingdom and Animal Kingdom! Some said that we could keep Hollywood studios as our last option. Epcot was a big NO for toddlers! Disney world includes 4 theme parks, 2 water parks and Downtown Disney. 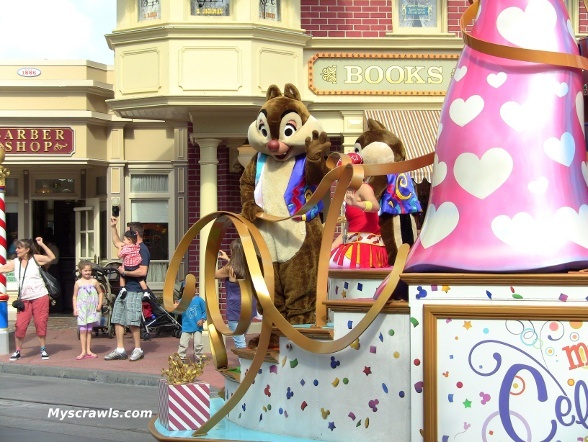 Of all theme parks, Magic kingdom (MK) and Animal kingdom (AK) are best suited for small kids. Toddlers (1 year old, 2 years old) would love both magic and animal kingdom. Fantasy land, tomorrow land and Main street are definitely toddler friendly. Extension of fantasy land is under constrction. To be honest we didnt get enough time to check all the 6 magical lands within the MK. We had already been to MK (before LO was born) so this time we avoided the attractions that wouldnt suit to our LO. We started from main street, checked out fantasy land and tomorrowland, took the train ride to see all the places within MK and finally enjoyed the late evening holiday parade before we left the Magic Kingdom. The next day, we were all set to explore Animal kingdom – The largest animal themed park in the world. If your toddler loves animals, believe me he will surely have loads of fun here. We spent the entire day roaming around AK checking out various attractions. 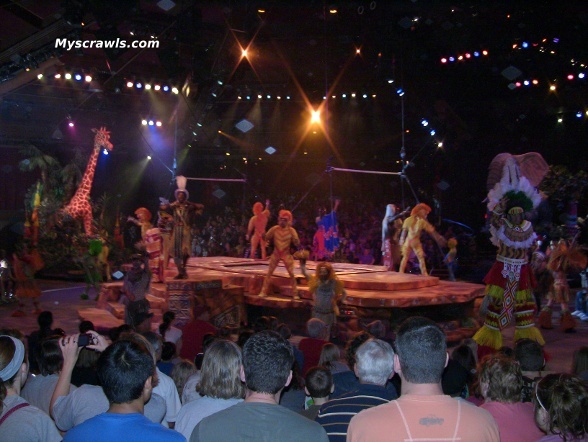 Do not miss “Finding Nemo – the musical” and “Festival of Lion King“. These are not the rides. These are broadway musical stage shows. The shows are wonderful. Our son loved them. Our LO was sitting beside me watching the Lion King, he did seem to enjoy the show. Guess he loved the music too much that he dozed off In a way it was gud. He was sleeping peacefully while we enjoyed the show. Our LO is not afraid of loud noise. If your kid cries or is not comfortable with the musical show, just let the disney crew member know and they will take you out of the theater without disturbing others. Finding Nemo was bit longer than expected. It was too gud. We sat close to the podium and the performers were runing even in the audience area. Our LO got too excited that he wanted to join them When the show ended, bubbles were blown. It was the best part for our LO He ran around the stadium chasing the bubbles! 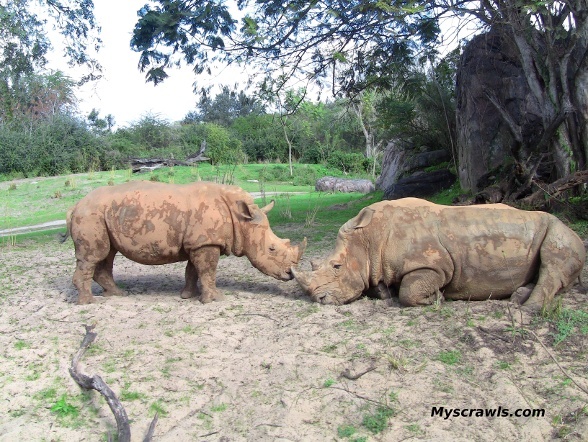 Do check out Kilimanjaro Safari (in Africa) and Maharaja Jungle Trek (in Asia). Our son loved watching animals! Infact he ran around the trek searching for animals (especially Tigers). There is a 3D show – It’s tough to be bug. In the reviews that I read about this show, many had pointed out that toddlers get scared and cry out of fear. Some had pointed that their kid enjoyed the show. We kept this as our last resort but didnt have time to check it out. This is a best place to shop, dine and enjoy live music. Unlike theme parks, there is no parking or entrance fee for Downtown disney. There is a circus which kids would enjoy. There is a lego shop with kids play area (lego blocks). Our LO didnt want to come from there. After almost an hour of play we had drag him out of the shop! Do not miss the boating adventure. You can take your toddler and his stroller on the boat without any issues We rented a boat and had an amazing time! Downtown disney area also has small train ride and a carousel just like in any carnival. 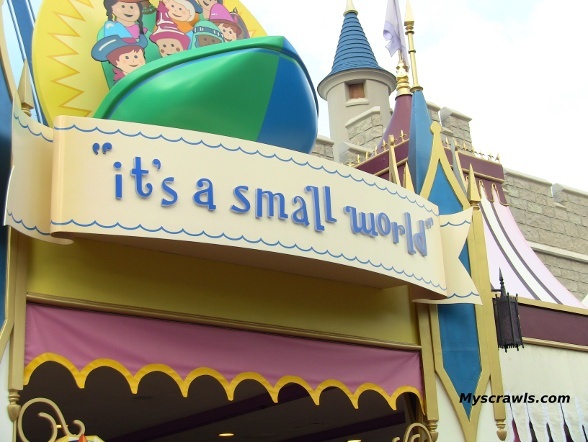 There are lots of rides in Magic Kingdom that toddlers would enjoy. Do not miss Dumbo the flying elephant, Mad tea party, Many Adventures of Winnie the pooh, Tomorrowland Transit Authority people mover, Tomorrowland speedway (at least 32 inches tall), it’s a small world, The Magic Carpets of Aladdin, Peter Pan’s Flight, Walt Disney World® Railroad and much much more. Believe me you would not find enough time to cover all the rides within a day! All the rides that I have mentioned above are suited for toddlers. We checked out most of them with our 2 year old. Always hold your kid and supervise them. Do not leave them unattended. 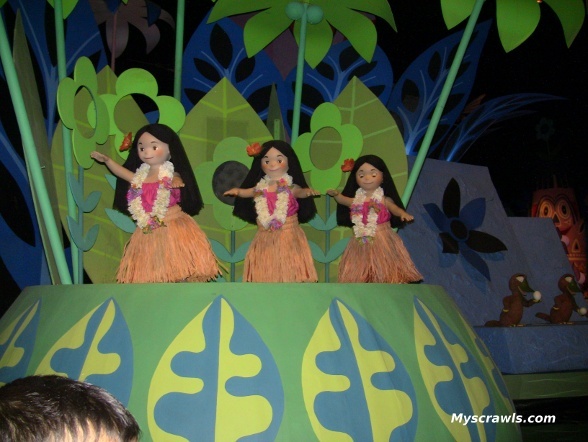 It's a small world Magic Kingdom, Do not miss this! TriceraTop Spin, Wildlife Express Train, Kilimanjaro Safaris are the rides/drive in Animal Kingdom that does not have any height requirement. 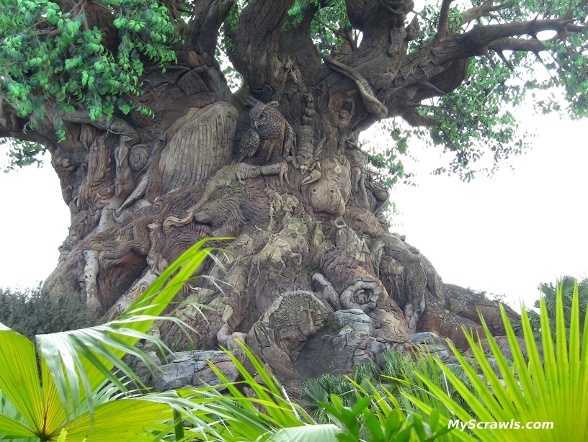 Apart from rides that are lots to do at Disney’s Animal Kingdom with your 2 year old. He will have fun playing carnival style games at Fossil Fun Games, Enjoying running around The Boneyard Playground (Be sure to keep an eye on your LO), feeding animals at Affection Section petting zoo and dancing to the wild music of Mickey’s Jammin’ Jungle Parade! Stroller rental at disney world: You can rent strollers at the theme parks. It was about $15 per day. Luckily we could check-in our (full-size) stroller in the air plane for free and so decided to take it! Make sure that your kid gets enough rest. He may tend to skip his nap! Tired child is more difficult to manage. Take fast pass (FP) to avoid waiting in queues. The day we visited AK, we checked out Kilimanjore safari the first thing in the morning without getting FP. It was a long wait of about 30mins. Our LO got totally cranky! But the safari was worth the wait. We got to see the animals too close and our son loved it. Always hold on to your toddler in the rides.